– Every day, 100 billion work-related emails are sent worldwide. – People spend 28 percent of their work day dealing with emails. – In the time it took you to read this sentence, 20 million emails were written. – In 2016, 143 million emails will be sent or received every day. Never underestimate the size of a journalist’s ego. The primary objective of a news release is to influence coverage, but the first goal is to make sure it’s read. The content in the email should be direct and personable. In Mr. Hooper’s case, anything with the subject line: Beyonce, BBQ or Luther Vandross, will get your story noticed. – Connect months in advance. You should be meeting way before the pitch. – Send emails that reflect consumption. – Help when it’s not your client that you are pitching. 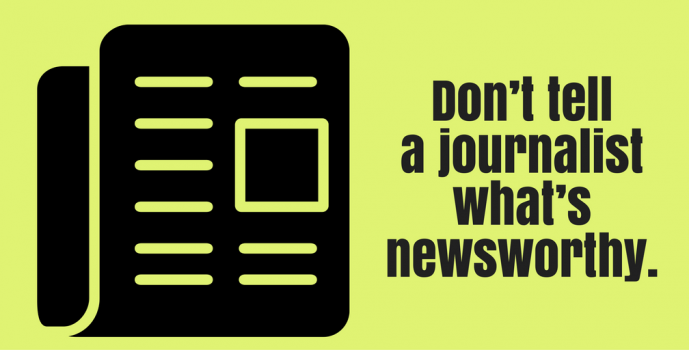 – Don’t tell a journalist what’s newsworthy. – Be respectful, smart and honest. Editor’s note: The post was adapted from coverage of a presentation given by Ernest Hooper at the Florida Public Relations Association Annual Conference in 2016. Read the full post here.